Giorgos Papagiannis stayed in the draft and despite the initial impression of possibly being just a late second round pick, his stock is rising and he is knocking the door of the first round. His workouts in the States changed everything and after a season in which he had a very limited role in Panathinaikos, he proved that he can be at least a “safe investment” for the future. 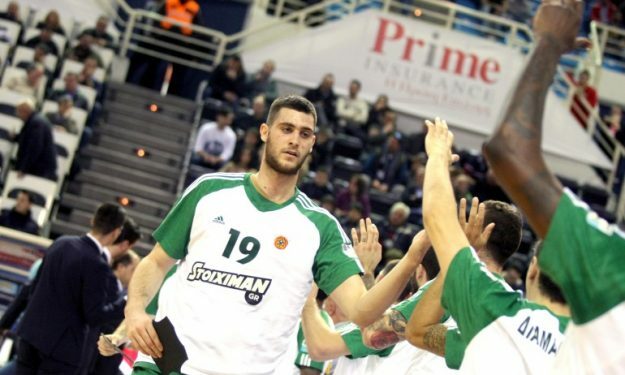 With that being said, Papagiannis has a 500.000 euros buy out with Panathinaikos, which can be fully paid by his possible NBA team, and a modest contract with the Greens. So, even under the rookie salary scale and a late first round pick contract, a move to the States can make sense for him financially. The question, of course, remains what will be the plans of the team which will pick him. In any case a towering center (2m.19) with great mobility for his size and just 19 years old, it’s a very tantalizing prospect, he will be picked and the question at this point is if he will be part of the first round.